A MILKWOMAN known as Maid Marion lived up to her famous name when she spotted a house fire during her round and led an elderly couple to safety. Marion Sanderson, whose business is called Maid Marion Dairy, was delivering milk in Oxenholme early on Tuesday morning when she heard a smoke alarm. She opened the letter box of Len and Hannah Fothergill‘s Scar View Road home and could see smoke. 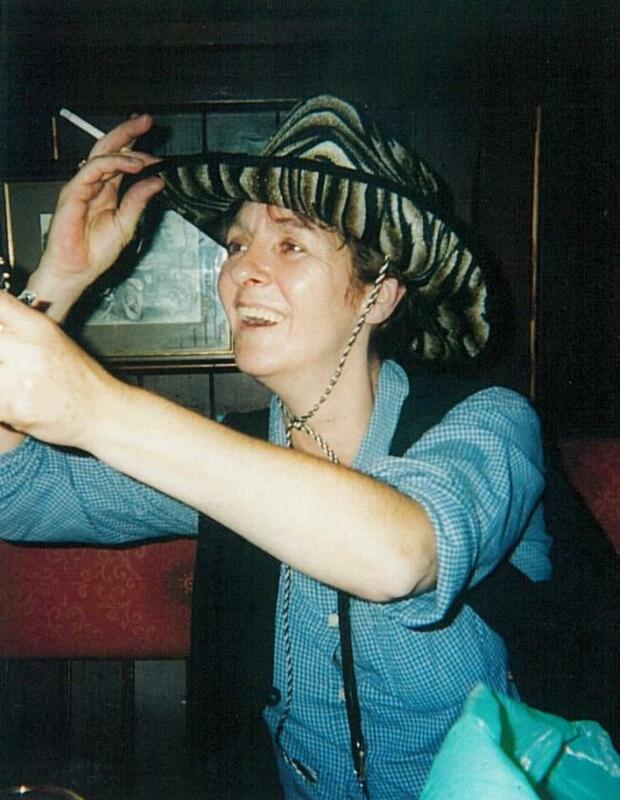 Marion, 45, of Staveley, dashed to the rear of the bungalow and hammered on the bedroom window, waking the couple. Mr Fothergill, 73, managed to get to the door and Marion helped him out before plunging into the smoke-logged building. Marion had also woken neighbours Raymond and Christina Barker. Mr Barker ran round with coats to keep the Fothergills warm and waited at the end of the road to direct the fire engine, while Mrs Barker dialled 999. They then provided everyone with cups of tea. Mr and Mrs Fothergill were both admitted to Kendal’s Westmorland General Hospital with smoke inhalation and Mr Barker was kept in because of complications with asthma. He was said to be feeling much better later in the week. “I just want to thank them all,” said Mrs Fothergill, 84, after her ordeal. The Fothergills’ daughter, Sylvia Newhouse, said the rescue was even luckier because Marion was running late that morning. Kendal fire officers said the kitchen blaze was probably caused by an electrical fault with a gas-fired boiler. Two firefighters wearing breathing apparatus put out the fire using a hose reel. The blaze was confined to the kitchen which was smoke damaged. If you live or work in Oxenholme, have ever lived or worked in Oxenholme or have ancestors from Oxenholme, then we would love you to join our Oxenholme Past & Present facebook group. Have you memories, photographs or family stories that you would like to share? Then we would love to hear from you! Note: Although the group is classified by Facebook as a ‘closed group’, this simply means that you have to join the group to contribute and read posts etc. Any posts or comments you make show up only in the group, not on your own Facebook timeline. 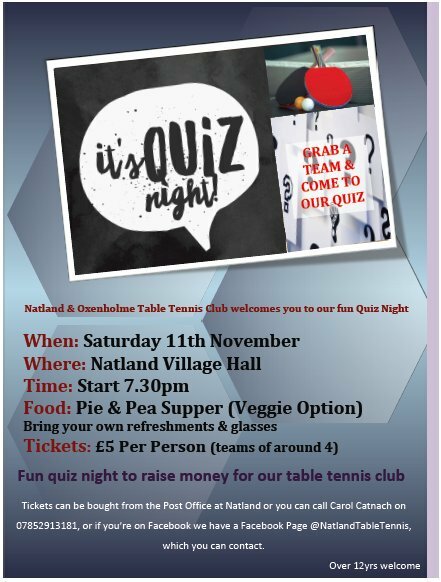 Natland & Oxenholme Table Tennis Club are holding a Quiz Night on Saturday 11 November 2017 at Natland Village Hall starting at 7.30pm. There will be a Pie & Pea Supper (with veggie alternative). Cost is £5 each with teams of around 4 members. Tickets can be bought from the Post Office at Natland or call Carol Catnach (see poster image). President Kirsten Cannon welcomed 26 members and 20 visitors to the open meeting. 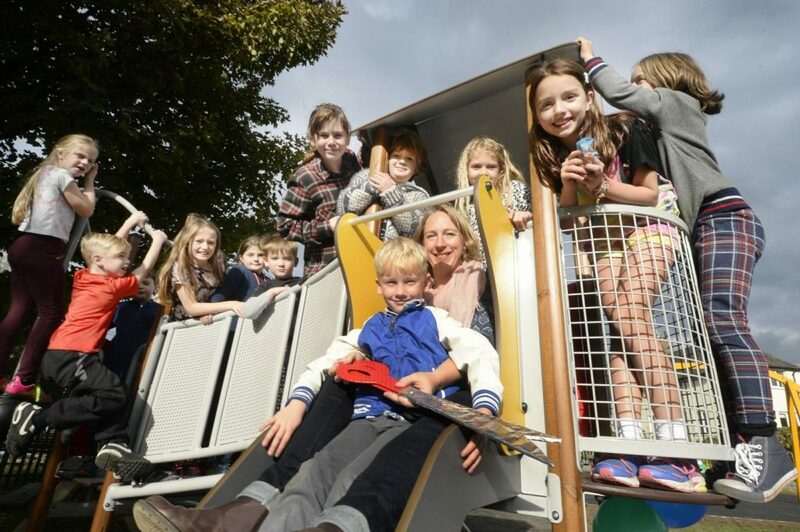 President Kirsten congratulated members on the group and individual successes at the recent Westmorland County Show – 1 Gold, 3 Silver and a Red awarded for the group entry of biscuits. She also congratulated members Joan Airey and Kate Toms on over 20 entries which had received many awards. President Kirsten then welcomed Maurice Steele who gave an audio/visual presentation entitled ‘It should have been stopped’. Maurice accompanied by his ‘team members’ Sally Harpon and Old Grump, took members on a journey through Lakeland from the Ice Age, to the present day posing the question what sort of Lakeland would we have if various decisions had been stopped. Through stunning photography showcasing the beauty of nature and accompanied by poignant music, Maurice asked members to consider how our landscape would look if land clearance, mining, railways, roads, mass tourism and other factors had been stopped. Elaine Close gave the vote of thanks. The competition for a sheep was won by Lynne Procter with Joan Ratcliffe in second place. Raffle prizes were won by Nancy Toft, Pauline Causey and Betty Prickett. Date of next meeting is October 18th at 7.15pm in Natland Village Hall when the guest speaker Pam Hetherington will speak on Foot care and Podiatry. We’ve just added a page for the Natland and Oxenholme Tennis Club, founded in 1978, a thriving and friendly club based at Natland and Oxenholme Village Hall. 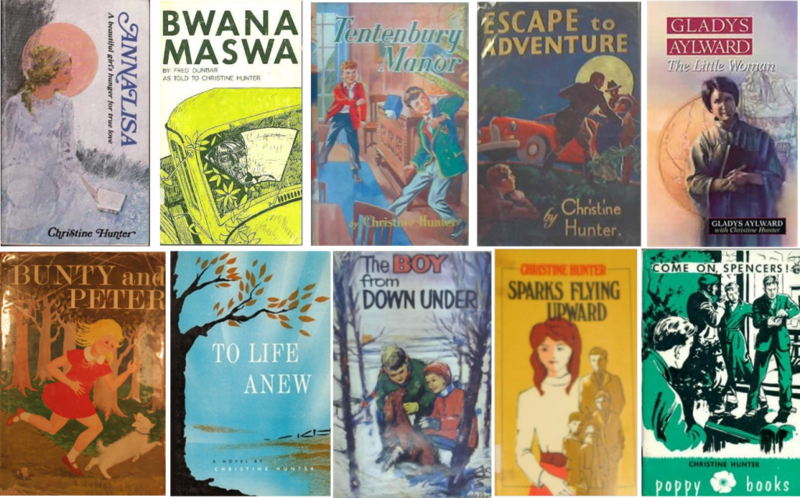 Christine Hunter, born in 1910, was not only a schoolteacher, but also a writer and biographer. She is understood to have lived at Woodlands (no. 98) Helmside Road in later life. The undeveloped plots on Helmside Road. Photo copyright of Tony Hartley. The photograph above, courtesy of Tony Hartley, shows the undeveloped plots which lie on the eastern side of Helmside Road, between number 53 (left-hand side) and number 47 (right-hand side). 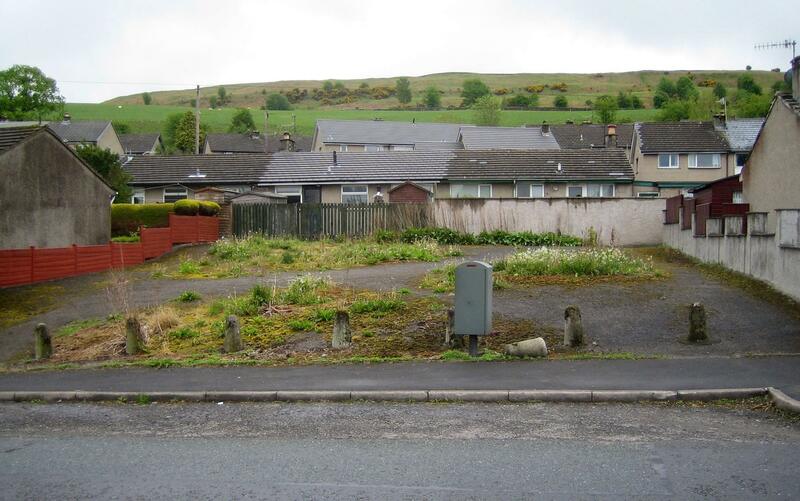 Immediately behind the undeveloped land are the properties on Scar View Road, then Bleaswood Road. 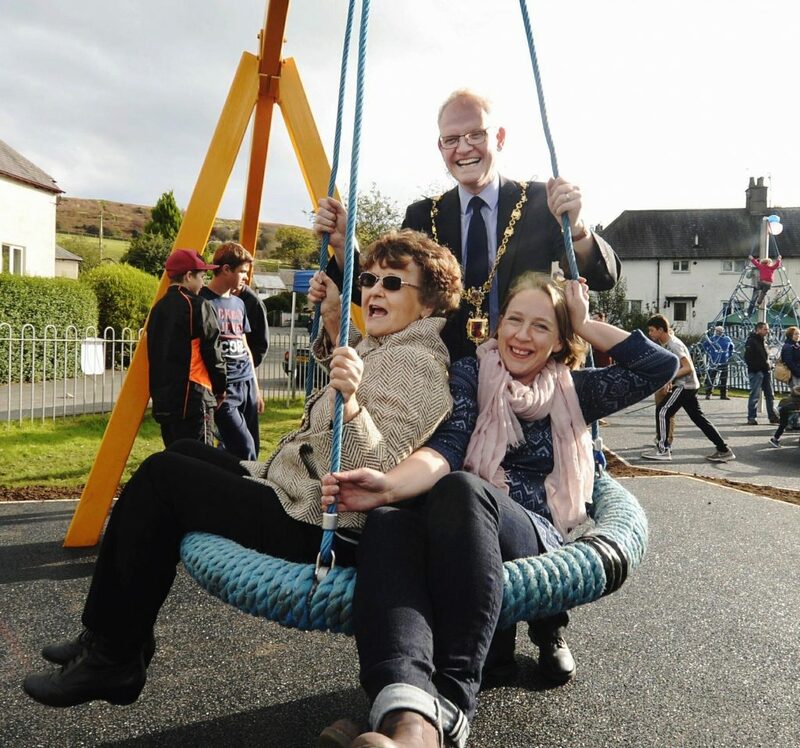 Long-time resident John Bateson tells us the properties were all built between 1968 and 1972 and that this particular piece of land was originally intended for the children’s playground. However, it was deemed to be too close to the road and so has remained undeveloped ever since.